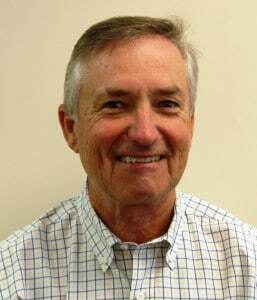 NASHVILLE––Ingram Howard, retired banker from Goodlettsville, Tenn,, was elected treasurer of the Strength For Service Board of Directors. Howard is a 1971 graduate of the University of Tennessee-Knoxville and is an alumni member of the Alpha Gamma Rho National Fraternity. He retired from banking in 2012 after a 42 year career, mostly as a credit review officer and financial analyst. A life-long member of the United Methodist Church, he now attends West End United Methodist Church in Nashville. His wife, Vickie, is an operating room nurse at Skyline Medical Center..
Howard currently serves as the first vice president of the Southeastern Jurisdiction United Methodist Men. He served as president of the Tennessee Conference United Methodist Men from 2002 to 2011 and was named a fellow in the John Wesley Society in 2011. He also serves on the Tennessee Conference Board of Directors for the Disciple Bible Outreach Ministry and has been an active mentor in the Big Brothers/ Big Sisters Organization since 2008. He is presently in process of becoming certified as a men’s ministry specialist.